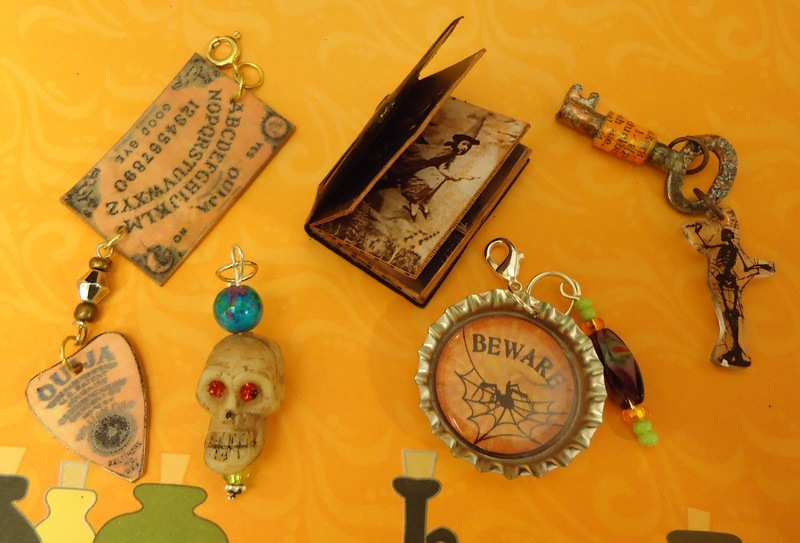 Here is part two of Roni's charm swap - The Halloween Charm Swap! Above are the handmade earthenware coffin bead charms that I made for the swap, and look what I received! Yea! I love them all! Roni of Ink Stains (our gracious host) - Shrink plastic Ouija board! How cute is that! Olga Brock - Adorable skull bead charm! Robin of Once Upon A Pink Moon - This one blew me away! It's a tiny spell book with actual pages! I opened it to show you, but it ties closed to wear as a charm. Julie Case - A fabulous glittery bottle cap spider charm! 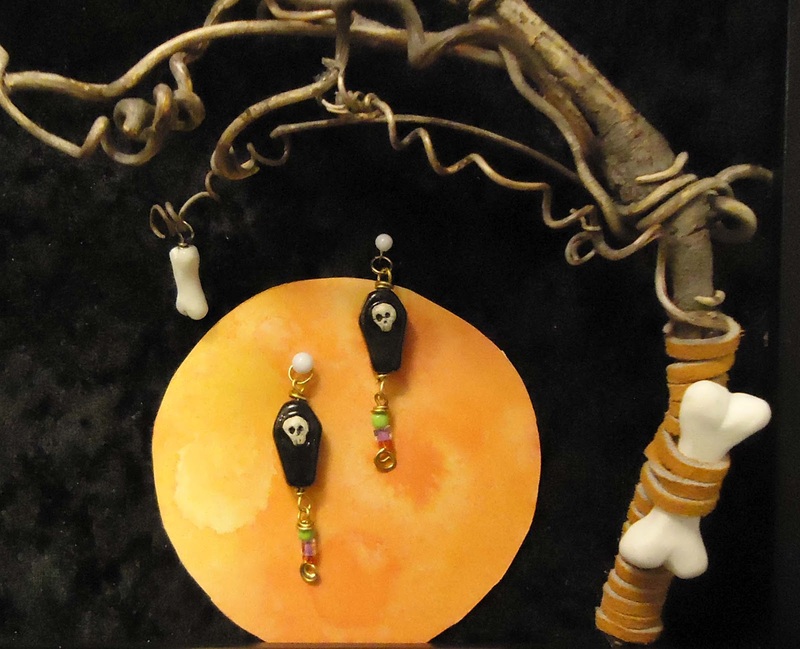 Caroline of Stampings and Inklings Blog - It's a shrink plastic skeleton with a key! I just love it! It was so much fun! It was like Christmas here - getting all the lovely charms in the mail! I would so do this again! Wow these are so cool too! You make very stunning charms! Great job! It was like Christmas (only better, because it was a Halloween theme)getting all the charms! These are wonderful! I'm trying to get some ideas for Halloween charms together to share on my blog this weekend. May I share one of your images with a link back to your site? Let me know if you would pretty please! And Happy Halloween! Absolutely! And I would love to see what you come up with!